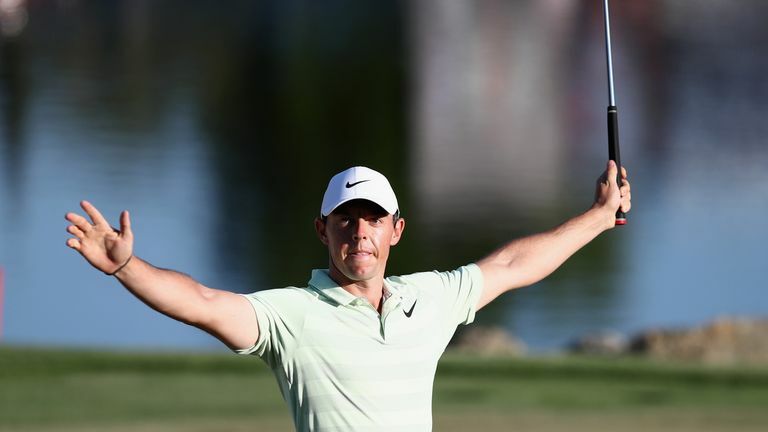 Rory McIlroy and Tommy Fleetwood feature in the best rounds of 2018. Vote for the player you think produced the round of the year! There have been history-making displays and epic comebacks in the golfing world in 2018, but what has been the round of the year? Relive the best moments from the European Tour over the past 12 months. Brandon Stone narrowly missed out on a sub-60 round on his way to winning the Scottish Open, while Oliver Fisher carded a magical 59 at the Portugal Masters. In America, Brandt Snedeker joined the 59 club during the opening round of the Wyndham Championship and a final-round 63 from Tommy Fleetwood saw the Englishman narrowly miss out on a maiden major title at the US Open. Five birdies in the last six holes and further birdies on the two extra play-off holes saw Matt Wallace to a dramatic victory at the Made In Denmark, while Rory McIlroy impressed during the final day to take the title at the Arnold Palmer Invitational. Which round was the most impressive? Click on the video above to watch some of the best rounds in 2018 and vote for your favourite from our shortlist!